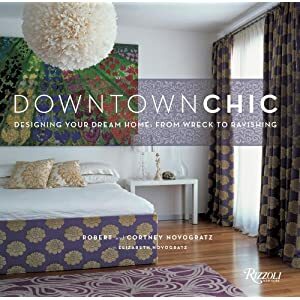 Last night I had the pleasure of attending the Apartment Therapy offline event featuring Cortney and Bob Novogratz. 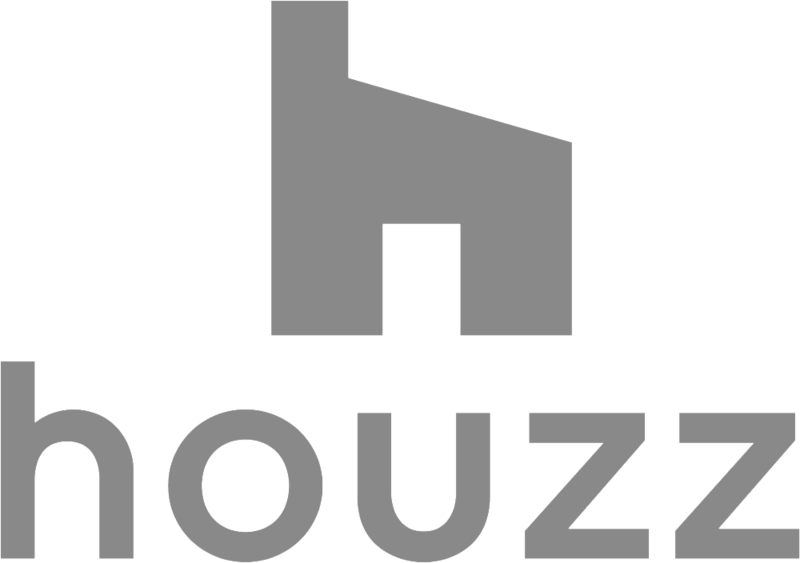 In case you're not familiar with them, they are the stars of HGTV's "Home by Novogratz" and formerly of Bravo's "9 by Design", a reality show about how they develop and decorate neglected properties -- all while looking after their SEVEN KIDS! They were really genuine and humble in person and if was great fun seeing how they approach their projects with a playfulness and creative freedom. They don't get stopped by thinking "oh this might not be practical, the contractor won't be able to install it, it's probably too expensive, client won't go for it" etc. They just go ahead and give it a try. This struck a personal note with me and I will be keeping it in mind moving forward -- as I've caught myself shooting down an idea before it's even had time to fully hatch. When it was Q&A time, I asked them how they deal with stress, AND what happened to the gun shop sign (which was a giant wooden gun, pretty unusual in New York) on one of their renovated buildings. Regarding stress, their teamwork really helps -- they are very supportive and don't take things too seriously. And the sign? It found a home around the corner. 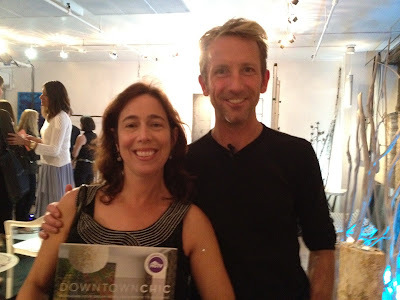 Yours truly with Maxwell Gillingham-Ryan of Apartment Therapy-- holding my surprise swag! 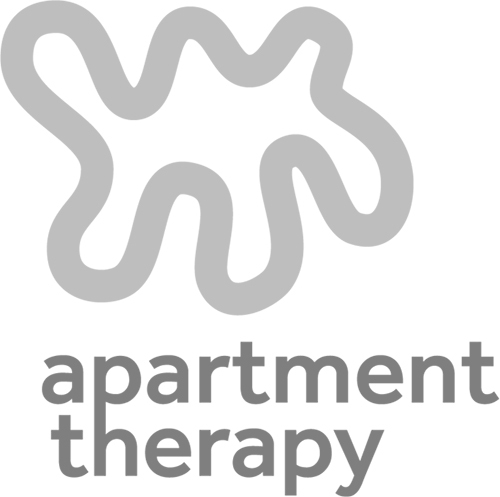 The Apartment Therapy Design evenings are a great opportunity to meet the A/T community, designers and design enthusiasts. They currently take place at ABC Carpet, and there is a monthly wine sponsor, so yes, glass of wine on the house! The events are free but you need to sign up through meetup.com. Hope to see you at the next one..